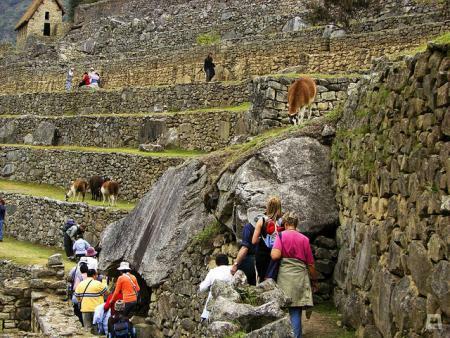 The president of the Chamber of Commerce and Tourism of Cusco , Jose Altamirano stated that industry growth reached 4 million domestic and foreign tourists who arrive to Peru in particular to visit our main attraction Machu Picchu. Also the president of the chamber of commerce have reported that projects such as road construction and opening of a railway, which will allow greater inflow of tourists to the Historic Sanctuary of Machu Picchu. These statements are consistent with what has predicted the ministry of Foreign Trade and Tourism ( Mincetur ) , who indicated that tourism will grow between 12% and 14 % next year due to the drive for diversification of activities and upcoming international events done in our country. The Deputy Minister of Tourism affirm that promote tourism in strategic countries through offices Peru Trade Abroad ( OCEX ) Deputy Minister for corporate tourism help boost the sector next year , for the organization of conferences , summits, forums, other events. This and many challenges are shuffled at the Ministry, the challenge is to turn Peru into one of the top destinations for conventions and corporate meetings , emphasized .